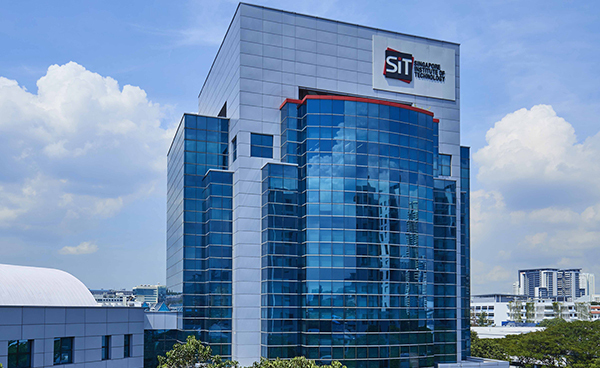 The Sustainable Infrastructure Engineering (SIE) (Building Services) programme is developed in consultation with the Building and Construction Authority (BCA), Singapore. The programme encompasses all the necessary engineering disciplines that are required for the building services industries in Singapore. Students will go through rigorous academic training that is conducted by highly qualified professors and senior managers from the industry, and will read modules which are highly relevant to the building services industries. To think and innovatively solve real-world problems in building services engineering industry using high level technical skills and knowledge. Embrace change for sustainable operation of building services infrastructure based on analytical and problem solving skills enhanced through lifelong professional development. Generate innovative growth pathways for the building services engineering industry through strong grounding at the process and system levels. Make impactful advancement and improvement in building services engineering both locally and internationally, taking account of professional, social, economic and environmental aspects. The SIE (Building Services) programme aims to groom students to be both practice-oriented and industry-ready. Students will be trained in the areas of Efficient Energy Management, Heating, Ventilation and Air-Conditioning (HVAC) and Building Information Modelling (BIM). One major highlight of the programme is the eight-to 12-month Integrated Work Study Programme (IWSP) which will equip students with the practical training much desired by employers. During the IWSP, students will be involved in the day-to-day operations and will confront challenges just like an employee of the host organisation. Students who perform well in the BEng (Hons) programme may proceed to take the Master of Engineering Technology degree (MEngTech) which will have a strong emphasis on human factors, systems engineering and project management. Students who opt for the MEngTech will also take on a Capstone project formulated on actual working experience during the IWSP. The project may revolve around innovative solutions to existing processes. In line with the government’s initiatives on clean energy and safety at the workplace, students may also be able to obtain professional certifications in Green Mark Certification, Fire Services Safety Management and Workplace Safety and Health. Accreditation of the programme will be sought with the Engineering Accreditation Board. Statistics from government agencies and employment trends point to a great demand for graduates trained in building services focusing on green buildings, HVAC and BIM. SIE (Building Services) graduates, well-equipped with the necessary knowledge and skills, will assimilate with ease into the building construction and services industries. Students with relevant engineering background ie. Diploma in Aerospace, Mechanical, Mechatronics, Civil, Environmental and Electrical Engineering may apply for exemption of modules up to a maximum of two trimesters. For students with non-relevant engineering background, i.e. Diploma from other engineering disciplines, exemption of modules will be considered on a case-by-case basis. Regional Immersion In Sustainable Engineering (RISE) will create opportunities for you to visit key infrastructure facilities and projects in the region. You will gain first-hand experience in communicating with engineers, designers and operators who are working on various phases of a project such as those in design and construction. The meticulous maintenance schedule that can eliminate any incipient breakdown of the systems will also be explored. RISE is an eye-opener that will enrich students' learning experience. Engineered components must withstand various external forces during normal usage. An example of a simple component is the chair, which must bear the weight of the person sitting on it without breaking or undergoing significant deformation. An engineer needs to be able to evaluate the forces that are applied to the component and to further determine the mechanical behaviour of the component in response to the applied forces. This module provides students with the ability to mathematically analyse simple components in static equilibrium (i.e. not in motion) under different modes of loading. The module consists of lectures where concepts and examples will be presented, and tutorials where students can pose questions from their own study. In addition, students will also complete various assignments that are intended to strengthen their grasp of knowledge learnt in lectures and tutorials. Engineering Mathematics is the foundation of all engineering degrees. Engineering Math I aims to equip students with core mathematical skills which will help them better understand other engineering modules. This module presents the mathematical foundations of Functions, which includes function transformation, logarithms and exponential functions, trigonometric and hyperbolic functions. The more substantial part of this module begins with Limits and Continuity which includes L’ Hopital’s rule, followed by Single Variable Calculus. It covers differentiation and integration of functions of one variable, with various engineering applications. This module focuses on C programming fundamentals including arithmetic algorithms, control structures, functions, arrays, pointers, characters, input/output, file processing, and data structures. Good programming practices, common programming errors and secure programming tips are discussed. To make this module more relevant to engineers and to make students “tinkering”, microcontroller design is introduced and students are required to complete a mini-project on microcontroller design using C language. This module aims to provide students with an understanding of the role programming can play in solving problems. It also aims to develop students’ competencies in writing C programs that can solve engineering problems. This module introduces basic fundamental of measurement and sensor technology. It covers from characteristics of measurement, SI standard to different types of sensors used in measurement systems such as displacement, level, velocity, flow and temperature. Principles of modern sensor technology and measurement devices are introduced. A summarized review or introduction to electrical circuit is also covered for the background knowledge of electrical sensors. At the end of the module, students are to implement and practice the knowledge learned and to evaluate and understand measurement tool or system with sensor technology. This course aims to provide fundamental knowledge of Planar Kinematics and Planar Kinetics in particles and rigid bodies. Students are trained to use vectors throughout the course and physical concepts such as velocity and acceleration (relative to moving or fixed reference frames), translation and rotation, force and moment, work and kinetic energy, linear/angular impulse and momentum, etc. are developed rigorously. Based on the understanding of the physical concepts, students will learn the principles in kinematics and kinetics, and apply them to solve practical problems in dynamics. Mathematics is a foundation for engineering students to study in their specific technical fields. The aim of this module is to provide students with necessary mathematics background which is essential to their further engineering course studies. The content of this module focuses on Vectors, Complex Numbers, Matrix Algebra and Introduction to Ordinary Differential Equations (ODE). This course will mainly be conducted by classroom lecturing and tutoring. Students will need to do the homework assignments after every lecture. The final grade will be a combination of marks from quizzes, assignments and final exam. Thermodynamics is an exciting and fascinating subject that deals with energy and energy interactions. Heat transfer is a basic science that deals with the rate of transfer of thermal energy in various media. This module is designed to give students a basic understanding of the laws of thermodynamics and the principles of heat transfer, leading to analyze of thermal engine cycles and design of heat exchangers. The module introduces the concepts of heat, work, reversibility, efficiency and property diagrams of pure substance while discussing the 1st law of thermodynamics. The ideal-gas equation of state is introduced for ideal gases while real gases are described by other polytropic models. The 2nd law of thermodynamics introduces the efficiency calculation for the heat engine and refrigeration/heat pump cycle, which these thermodynamic cycles can be approximated by an idealised reversible Carnot cycle. The 3rd law of thermodynamics set the stage for the discussion of actual vapour power cycle (Rankine) and actual vapour- compression refrigeration cycle. •To discuss the property diagrams and P-v-T surface. Every structural component is made of a single material or a combination of different materials. A large number of materials are available from which an engineer can choose, and the behaviour of each material is influenced by how it is processed. So how does an engineer make a selection of which material to use? In this module, students will learn the relationships between materials structure, processing and properties so as to understand how the properties of a material can be achieved for a specific application. Concurrent to lectures, students will also undertake a group assignment during which hands-on activities are undertaken to select a material for an assigned application. •General manufacturing processes of metals which include casting, forming, machining, joining and surface finishing. This module aims to help students develop such abilities through academic essay writing, technical report writing, reflective writing, oral presenting and other learning activities. SIE2016 also adopts a process-based, reading-into-writing approach so that students have the chance to learn/unlearn/relearn from the multiple drafting experience of each writing assignment. For the principle content focus of the course, a project-based approach is used that requires teams of students to explore authentic engineering problems and develop viable solutions within real-world contexts. Within the module, they are required to read discipline-specific articles, do writing assignments and a project with an engineering focus, and interview engineers or related experts, thus facilitating greater acquaintance with the field. Stress analysis and topics beyond linear elastic response of structures such as structural instability, limit load analysis and bean-columns. Energy based methods as alternatives to classical stress analysis techniques. The subject is intended to equip students with the basic knowledge in fluid static and dynamics in buildings and in building services. Emphasis will be on applications of the piped/ducted system, open channel flow, flow around buildings and structures, potential flow, boundary layers and compressible flows. Review of the fundamental Circuit Principles, Kirchhoff’s Law, Thevenin’s and Norton’s Theorem; Transient Response of Circuits, Low and High voltage systems. Apply the design approaches and principles for power distribution in and around buildings. Understand the requirements for safety, efficiency and reliability of electrical installations according to Singapore standards and regulations. Equipping student with the knowledge required in designing water supply, drainage, sanitation and sewage systems in buildings. Developing student competence in making relevant decision complying with engineering requirements on the systems. Singapore standards on these systems are covered. Recognize and apply the design approaches and principles for power distribution in and around buildings and to understand the requirements for safety, efficiency and reliability of electrical installations in supply rules, regulations and codes etc. Fundamental principles on smart metering and control, intelligent building and energy management are covered. Equipping students with the abilities in designing air conditioning systems for buildings, including the heating and cooling load characteristics of buildings and performance characteristics of the air-conditioning systems. The system design and the part-load performance of the systems will be emphasized. Building Information Modelling (BIM) is a new three-dimensional modelling technology that allows the building professionals of various disciplines to explore the building project digitally, before it is built. BIM can help to bring about greater integration and collaboration among the developers, designers, builders and fabricators across the construction value chain. Students will be able to obtain the relevant knowledge and skills that are required to set up a Company BIM Deployment Plan and BIM Project Execution Plan. To promote greater use of building energy simulation to underpin low energy building consumption and efficient HVAC system designs. To deepen student’s understanding about the fundamental engineering principles and numerical methods employed in BIM. To provide student with hands-on experience with performing building and system performance simulations. To understand the use of BIM in facilities management. To understand the use of buildings as an operational resources and how to manage them as functional assets. To learn how BIM impacts on facilities management workspace layout. Components of occupancy costs, procurement and management of support services are included. This module aims to equip the student with the knowledge of the rules and regulations regulating the practice of professional engineering in mechanical engineering and to increase the student’s awareness of his or her responsibilities in a professional engineering environment. Centre to the module is the development of the student’s knowledge in addressing professional ethical issues and the student’s awareness of how his or her professional skills such as leadership and communication skills are important in the practice and can be enhanced through continuing professional development. In addition, the student will undergo training on job applications and job interviews. IWSP provides students with the opportunity to undertake real work, allowing them to integrate theory and practice and develop deep specialist skills in their chosen field. Held over the span of 8 to 12 months, the structure of the IWSP will be unique and distinct for each degree programme to cater to differing needs of the industry. Our employers are our partners in education. Designed to be more in-depth than a traditional internship or industrial attachment, students participating in the IWSP are expected to undertake real work in the companies they are employed in for the programme. This will allow SIT students to gain real work experience and is meant to augment theory with actual practice. To provide students a detailed theoretical basis of fire physics and reaction kinetics in combustion process and fire dynamics in a building fire. Using thermochemistry, thermal decomposition of fuel, dire development, the burning properties of materials and fire design in building and fire services systems. Learning codes of practices for fire engineering design including basic water-based fire engineering systems for buildings. Design gas protection systems, fire detection and alarm systems. Basic passive protection systems in building will also be covered. * This course is similar to the Fire Safety Specialist Course currently offered by SCDF Academy. Students will have to understand the building automation (BA) system in modern buildings. This will enable them to better judgement in design mechanical and electrical systems. Network of building automation and intelligent building (IB) systems and their respective configurations will be covered. The dynamics performance of building processes/systems, control fundamentals and building process control are examined in detail. Finally, control strategies for better energy efficiency and building environmental performance are included. *The course curriculum is identical to that defined by Workplace Safety and Health Council, Ministry of Manpower, Singapore (MOM). Construction Safety Course for Project Managers (CSCPM).